As the title says, welcome to Whiteridge! We've been working on Whiteridge in different states for several years now, and are excited to finally release it to the public. Before I go into detail about the level, please keep in mind that due to issues related to the PS4 version of SNOW (more about that here), this update is not currently available to PlayStation 4 players. 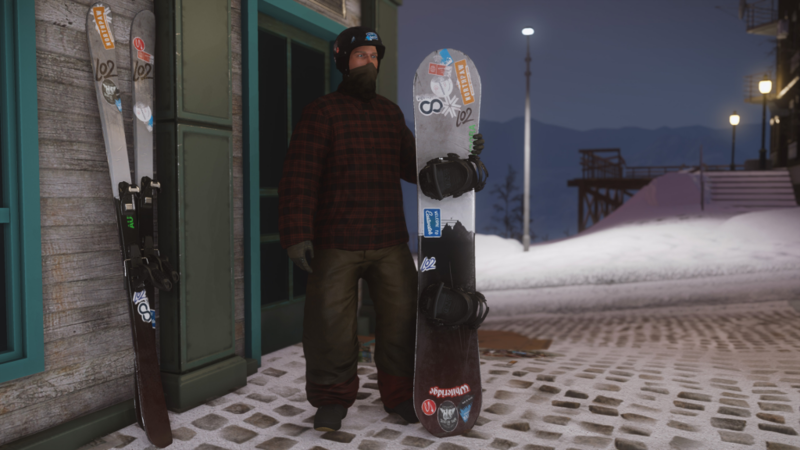 Whiteridge is the first urban-focused mountain in SNOW, or as far as we know, any skiing/snowboarding game ever made. While it's not as large as Sialia, it is extremely dense and features a dozen of different urban areas across the face, including a piste and terrain park. The level costs 699 Credits, but for the next week it will be on discount for 499 Credits. Included in the level are seven Events and three Challenges. Each Event includes a Gold Medal reward that together, forms the Whiteridge Urban Set - an exclusive bundle of dirty clothing and scratched-up equipment from many seasons of riding the streets of Whiteridge. We began work on Whiteridge in 2015 with the goal of creating a dense urban environment that also worked with our gameplay. 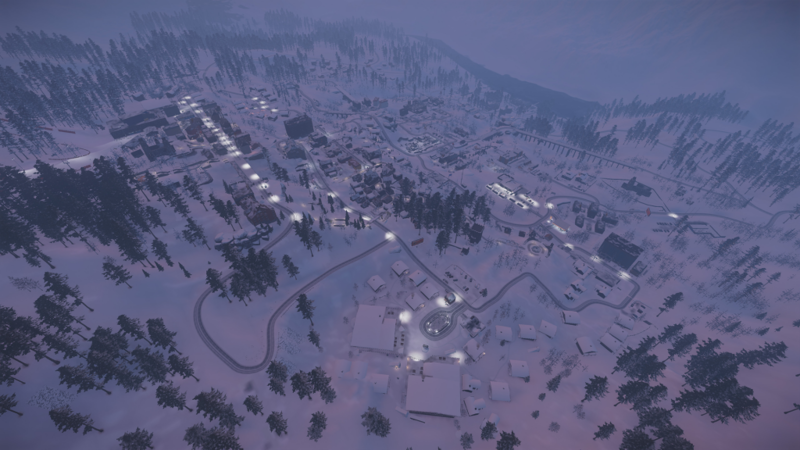 We originally wanted this to be featured on Sialia, but soon realized that it would be too hard to build the town on Sialia while also releasing updates for the rest of the mountain. Knowing that it would take many iterations to achieve a fun, playable urban level, and not wanting to occupy Sialia during that process, we ultimately decided to create Whiteridge as a stand-alone level. A lot of the initial work for Whiteridge was trying to figure out how we can retain the flow of gameplay while riding through narrow alleyways, across flat streets, and around big buildings. We watched lots of urban segments from our favorite ski and snowboard movies for inspiration on what features work well, and how all these elements can be linked together. Our favorite segment was definitely JP Auclair's part from All.I.Can. To understand how the segment worked, we actually rebuilt his line in SNOW to try see how it would play. What we soon realized was that as fast and intense as it looks and feels in real life, JP is riding pretty slowly compared to SNOW's standards. On top of that, many urban edits give the appearance that features are perfectly linked together down a street where as a matter of fact they're spread out and riders need to use a winch or build a ramp to maintain their speed. So while these segments helped us with inspiration, trial and error was the only way we could figure out what actually worked for us. After nearly two years of periodic work on Whiteridge, we eventually achieved the gameplay we were looking for: the ability to continuously ride through an entire town, hitting lots of different features along the way - all without losing your speed or having to push all the time. With the initial gameplay goal completed, we moved onto the next phase and began conceptualizing how the town would actually look, and started populating it with new art assets. We created hundreds of new assets for Whiteridge to really help sell the gritty, urban environment you are riding in. 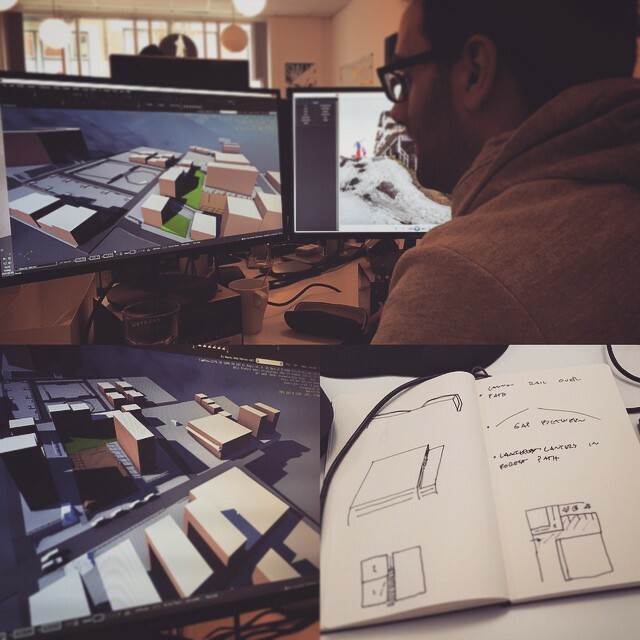 As planned areas were completed, we started to develop a feeling for how areas should be designed. This allowed us to grow the town even more than initially planned. Whiteridge features over a dozen unique areas, each with a different look and play style. In addition to winding tiers of streets with parked cars, alleyways, fences, and stairs to trick off, you can also find larger structures like a school yard and skate park, or a few construction sites primed for jumping and grinding across. Skilled riders will enjoy Whiteridge's Old Town as the tightly packed buildings and ability to ride on roofs offer completely new challenges. In the hills above and to the side of Whiteridge, keen explorers will be thrilled to find landmarks and other hidden structures. Competitive players will be sure to complete all seven Events spread across Whiteridge, to help learn more about each area of the town. In addition to the new level, we've recently added a bunch of new content to the character store. New clothing and equipment from DC, Coal, Sessions, Capita, and Electric are available in the store, as well as a new gnome session marker. 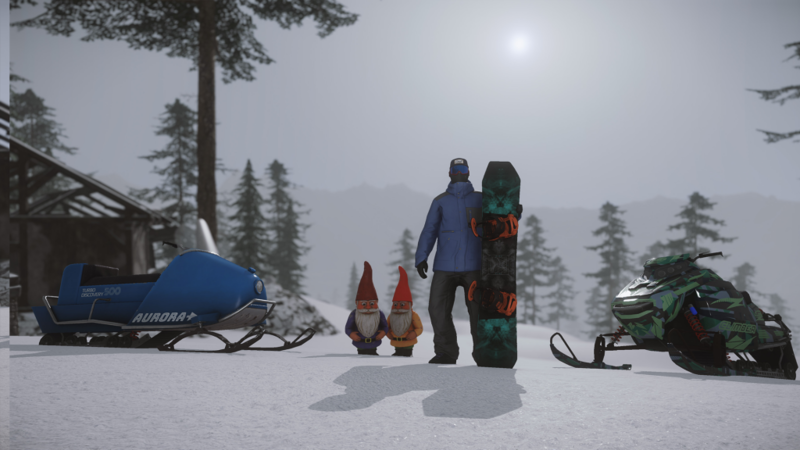 We've also created two brand new types of Snowmobiles: the Climber is a racing-style snowmobile, while the Discovery has a more vintage look to it. These snowmobiles ride the same, but look drastically different compared to the original snowmobile. We hope you enjoy all the new content and look forward to hearing your feedback! We will continue expanding Whiteridge in future updates and fixing any areas that need improving, so please share your feedback on our official Discord server.